Produced for Poster Roast at the Camden Crawl we especially liked Graham’s see through red glasses and reminisced about queuing up at Our Price to buy our very first album, Blur obviously. 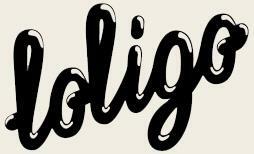 Loligo is an independent screenprinting studio based in De Beauvoir, London. We love screenprinting by hand, from the tactile nature of the prints to the way the ink sits on the paper, however, the real beauty of screenprinting this way is that the slight variations give each print a distinctive handcrafted feel. Here at Loligo we seek to experiment with the medium of printing transgressing the boundaries and traditional notions of print in an age of untouchable digital media. We do this though self initiated work, commissions, exhibitions and collaborations with other artists. These can be seen in the projects section of our website. Using our experience and love of screenprinting we also provide an affordable print service to clients nationally. We’re looking for an experienced screenprinter to come and help us out at Loligo HQ on a freelance basis, download the Job Description for more info. We were very excited to print this double sided poster for the recent Wild Beasts‘ tour, not only did we get to do a fade in 5 colours no less! We also got to speak to a studio favourite, designer Jason Evans. These two prints were especially designed for the W Project by Loligo owner Loren Filis. Printed on 50 x 70cm ivory stock we utilised our printmaking know how to produce a clear raised over print and two types of gradient. Printed in extra glossy, opaque white on Fedrigoni’s Sirio stock by illustrator and Loligo favourite Ryan Todd. This two colour poster was printed for Canadian band Timber Timbre for the relase of their latest album and available over here. Designed for one of the dates on German tour by We Three Club printed with an awesome orange to yellow fade, our favourite. We were honoured to be involved in the W Project both by printing these posters and having some work in the show its self. We have just finished this very lovely print designed especially for Loligo by image maker Ryan Todd. Printed on 540gsm Monadnock stock in 4 colours and small enough to pop in the post and brighten up someone’s day. This is the first print we have commissioned at Loligo and we hope to do many more in the future. We were recently asked to screen print these little A6 postcards by creative agency Mercy. Printed in sage green and bright pink on Context Natural 300gsm stock. These hand screen printed vinyl records were designed by fellow studio member Bobby from Telegramme. Each is unique and printed with super shiny metallic ink. These tote bags designed by Holly Wales In celebration of the Welcome To signs which greet you when you arrive in a new US state are printed in a very limited edition of 10 each. Holly is just launching her new site so get in there quick and grab a bag form her shop whilst checking out the rest of her lovely new website. As featured on the back of Novembers Creative Review and designed by Telegramme this Promotional poster is now available as a limited edition 4 colour, 50X70CM screenprint over at the Telegramme General Store now. I recently screenprinted the mirrorboard cover of Ned Beauman’s ‘The Dolphins of Lagos’ the latest release and first in a series of lovingly designed short fiction works from Landfill Editions. I did a little screen printing on this litho printed poster for chums THIS IS studio, the back exactly mirrors the front so my imense registration skills came in very handy! It was the greatest of pleasures to print this charming 2 colour print for illustrator extraordinaire Al Murphy, I had to stop a few studio colleagues from sliping one straight off my drying rack into their sketch books… he’s selling them on his site so go get yourself one from there. I just completed this nice little print for fellow N1 resident Katie of whatkatiedoes.netI was very pleased with the yummy colours I mixed up and was thoroughly hungry afterwards. You can by the print from Katie’s etsy site and make sure you check out her blog too. These were printed in three colours on 300gsm Somerset Satin Soft white, a 100% cotton paper. Limited to 100 and illustrated by Joe McLaren, these prints were commissioned by Historic Royal Palaces exclusively for their patrons. Jiro approached me to print up these great images in a limited edition of 10 for an upcoming show at Chapter One Gallery. Obviously I jumped at the chance and not just because I get to keep a printers proof to put up on my wall! Community! What Should I Do! I recently collaborated with the lovely Holly Wales on a series of pieces for an exhibition of large-format posters at Fallon, Great Titchfield Street . Holly selected some images from her very large collection of photocopies, handed them to me in A0 giving me free range to experiment with printing over the top. I used this as an opportunity to print in a very analogue way by exposing cut our shapes and images hand drawn directly on to the acetate on to the screens. I then played with different transparencies of ink, colour blends, the contrast between matt and glossy inks as well as overlapping shapes from one sheet of paper to the next to suit the brief. Opening night photos by Steve Bliss. We recently graced the back page of Design Week for our show at Fallon. If you are a DW subscriber see the full article here. This was a simple one colour print onto bookcloth for Vanessa Billy’s artist book Why Shapes What. Published by Ditto Press in an edition of 100 in association with Limoncello Gallery and designed by Kellenberger-White. You must check the risographed spreads over on the Ditto site as they are pretty special, still looking forward to receiving my copy! This 3 colour A1 screenprint by Colin Henderson required extremely precise registration, some secret screenprinter’s techniques and was certainly a challenge to print but the results were worth it in the end don’t you think! We had the pleasure of printing the fabric pieces for several samples before they were made into five wonderful outfits by designer Lu Flux. As usual we used eco friendly water based inks which suited Lu’s green credentials perfectly. These A1 prints designed by London design studio No Days Off were printed on 270gsm Context and in two colours. We were asked by Selina Swayne and Annabel Fraser to print the exhibition graphics for the Garden Museum’s exhibition Christopher Lloyd: A Life at Great Dixter.